Yesterday, while coming back from work, i got a call from one of my relatives, that they would be dropping by for sometime. Smile, was my first reaction! Wow..super exciting weekday..coming ahead. I love it when i have guests in my house. I wish to do all that is possible in that time frame. Spend as much time with them as i can and cook loads and loads of exciting food for them. So while coming back, i quickly picked up some mushrooms from a local grocery store not knowing what to cook. Rushed back home and hunted for my recipe diary and flipped through the pages frantically for something exciting. 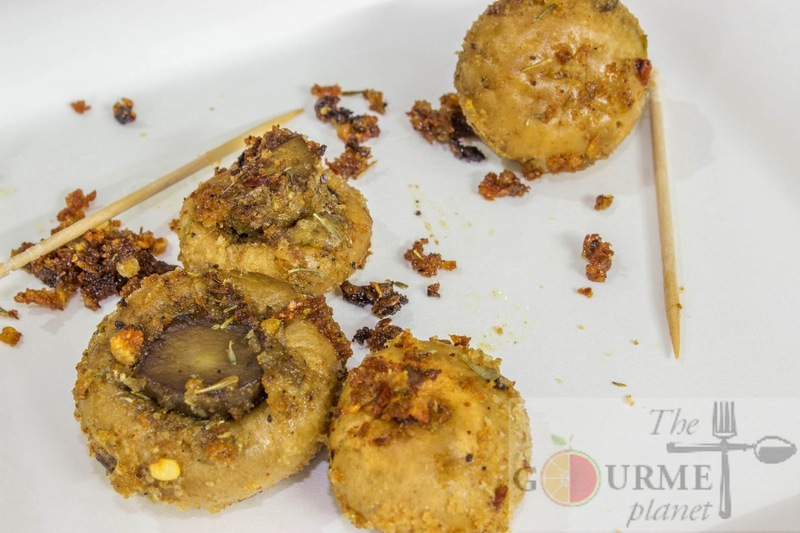 I bumped into a simple yet delicious recipe of Butter Garlic Mushrooms and decided to make those for the starters along with some chilled mint mojitos. Put on my apron and got cracking. They were simple to make and by the time my lovely guests arrived they partially done! I was happy and contented that even though a busy weekday yet my guests left from our place with smiles on their face and a happy contented filled tummy. They were in awe of the mushrooms which were loaded with butter and garlicky flavor and the dash of thyme gave it a perfect kick! Aaahh..ummmm...yummmm..were the after effects of this amazing appetizer. 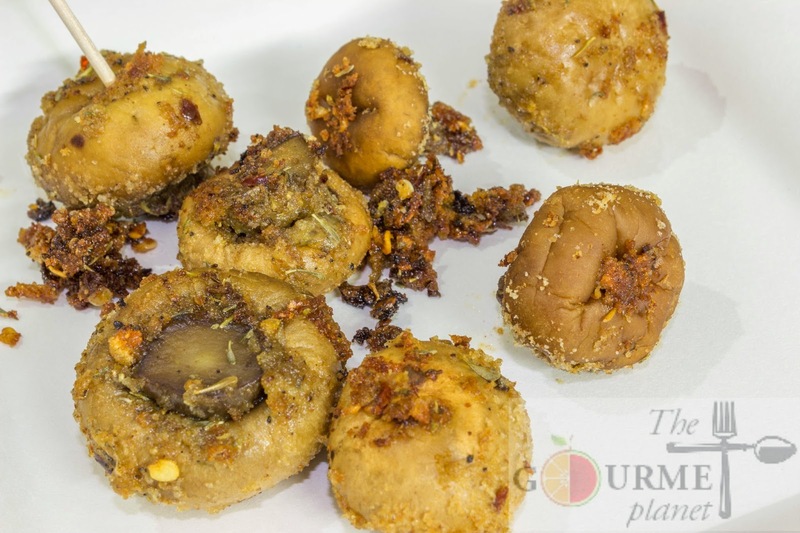 So if you are in a jiffy and yet feel the urge to quench your cravings, this is a perfect snacker or appetizer which will leave you in surprise. Its incredibly easy yet flavorsome. 1. Heat water in a vessel and blanch mushrooms for 2-3 mins in boiling water and then thoroughly wash the under cold running water and then strain them. 2. Pat the blanched mushrooms with dry cloth and ensure all the excess water gets absorbed. 3. Now heat oil in a frying pan and one by one deep fry the mushrooms. NOTE: You have to very lightly brown them ensuring they are not overcooked. Just a very light brownish color on the skin and they are done! 4. Take a bowl and add butter to it. 5. Add minced garlic, crushed thyme, red chilli flakes and salt. Mix all the ingredients well. 9. Post an hour, sprinkle bread crumbs on the mushrooms and give a light toss. 10. Once done, transfer them to a serving platter along with a cheesy dip.